Spread the oil in a banana leaf. Turn the gas into low flame. 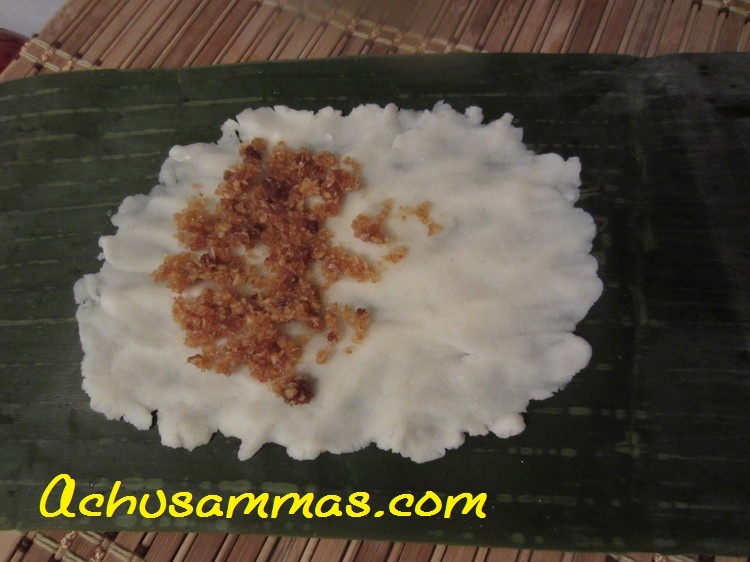 Place the banana leaf on the top of the flame slowly and slightly roast its both sides. Keep this aside. When using frozen omit this step. Add salt to the warm water. Mix the rice and warm salty water. Make the dough. 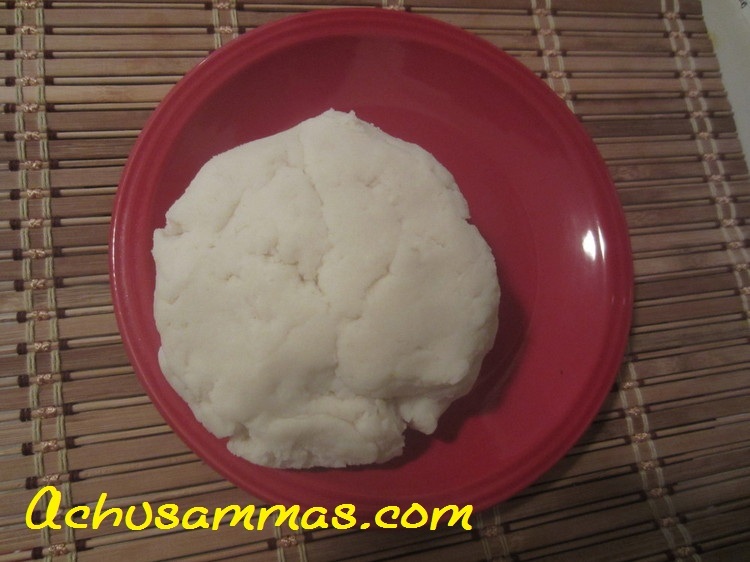 It should be like chapatti dough. 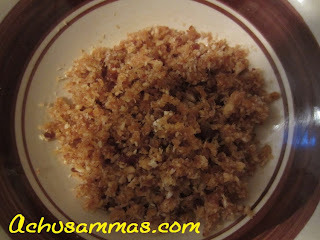 Mix together grated coconut, jaggery( or use sugar,brown sugar )and cardamom powder in a separate vessel. 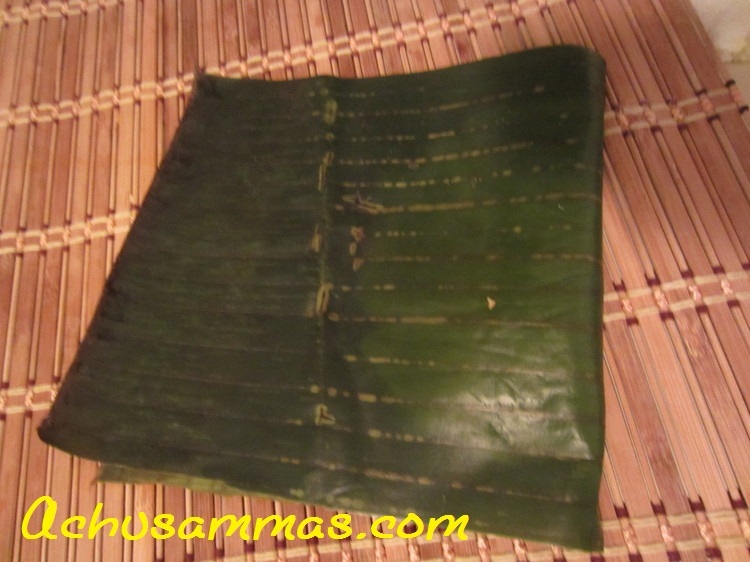 Take the banana leaf. Spread half tsp of oil all over the leaf with the fingers. Place lemon size dough in the center of the leaf. Then press with the fingers. Then add the coconut mix to the center of it. 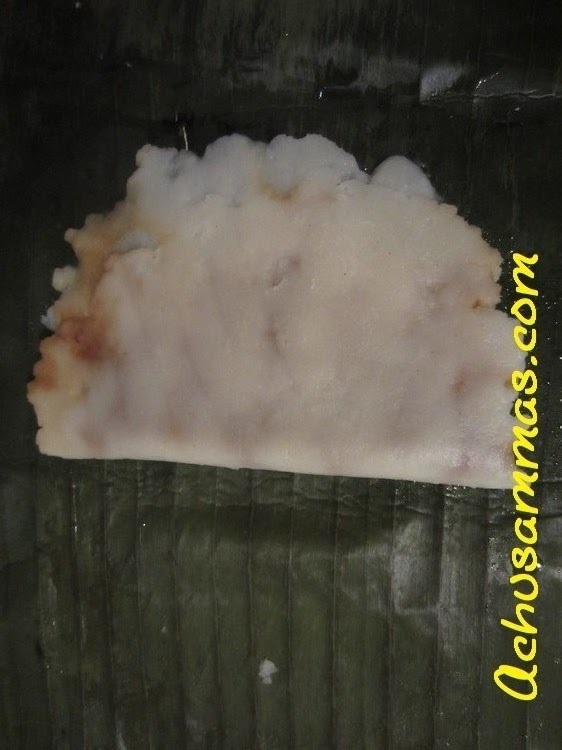 Fold the leaf and slowly press the edges of the dough together with the leaf. Then wrap this with banana leaves. Steam this in idli vessel or any rice cooker steamer. After 15 minutes Ela Ada is ready to serve.